What better way to reach out to your customers than by taking your show on the road in a vintage trailer? 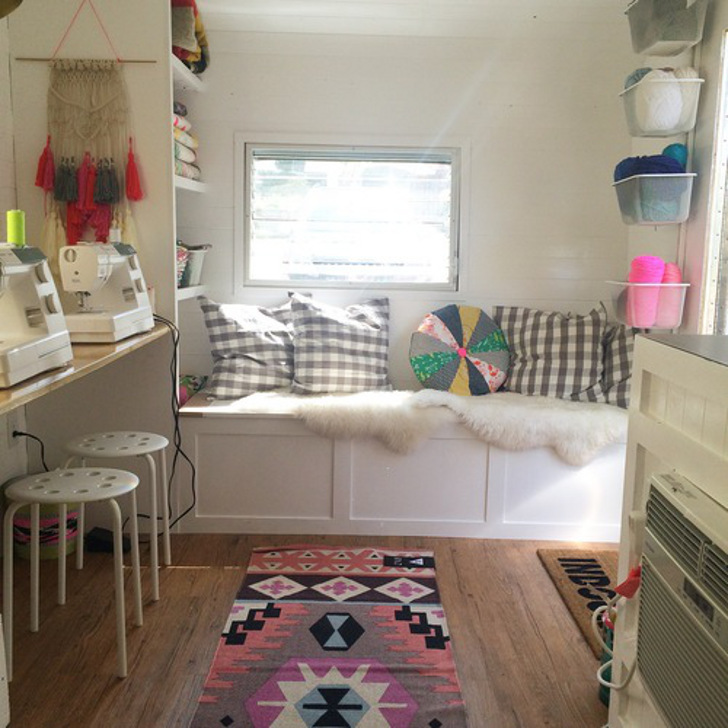 This sewing school on wheels is too cute! What do you do when customers of your thriving little enterprise keep asking you to take your business to them because you’re located too far away? 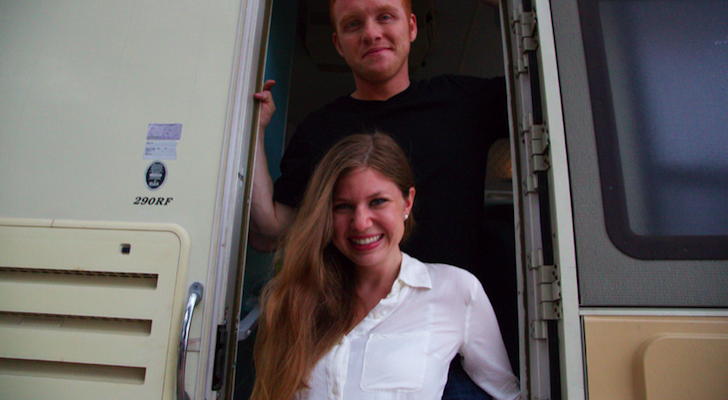 Well, you reinvent it as a portable RV business and take your services on the road! This crafty trailer is a school on wheels. That’s exactly what Annabel Wrigley, a resident of Warrenton, Virginia, did when her children’s sewing school “Little Pincushion Studio” got so popular that people from all over the state were asking her to teach classes in their towns. 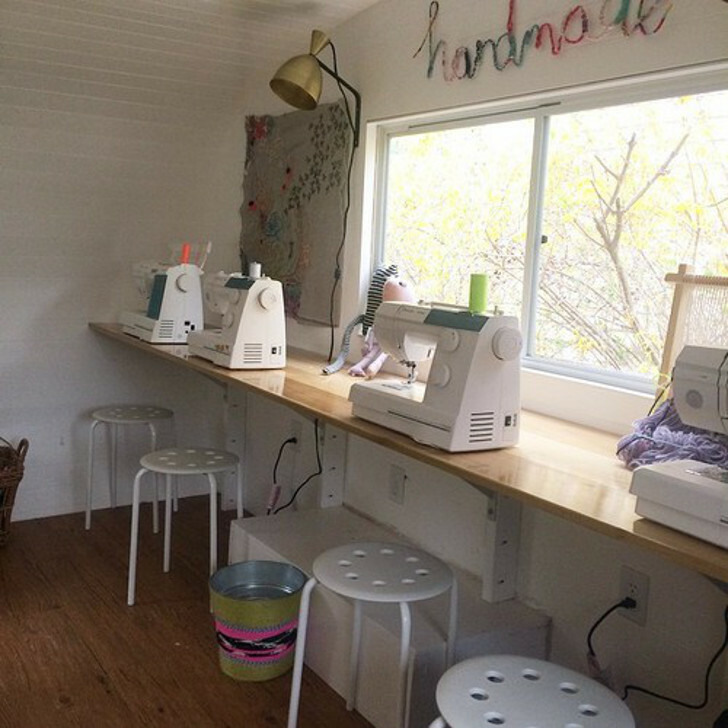 Wrigley told the Delaware Online newspaper that she was inspired by the food truck movement and realized that with the right retrofitting, a camper trailer would make the perfect mobile sewing school. 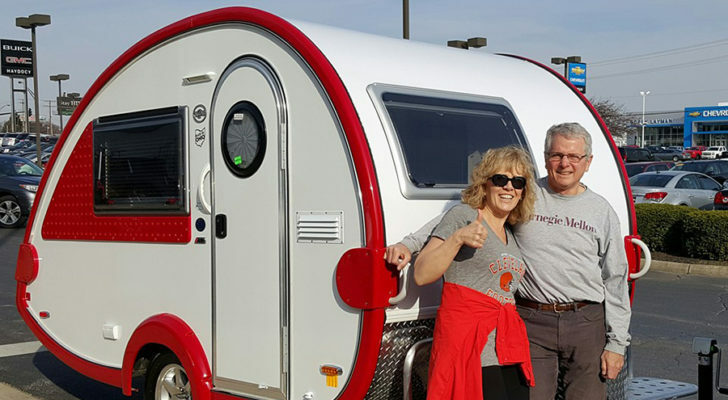 After shopping around for the ideal vintage trailer she had her heart set on, she opted to work with CH Campers in Tennessee. That’s where vintage trailer aficianado Jerry Ragon designed a vintage Shasta Airflyte reproduction trailer with the exact look Wrigley was seeking, but with a retro base price of just $8,900. 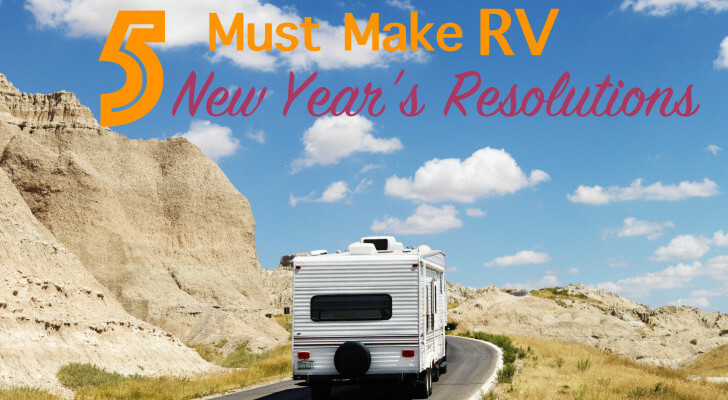 It’s a vintage RV business with a cozy flair. 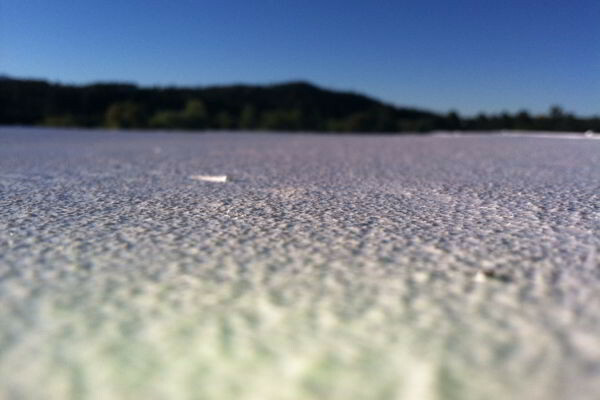 …he does this really cool reproduction of the Shasta with the little wings on it from the 1960s. I’m thrilled with how it turned out. 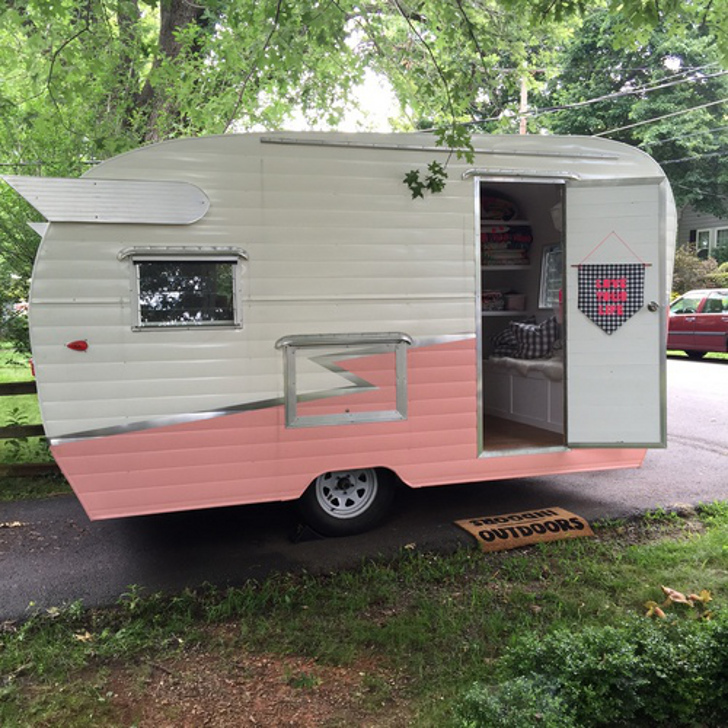 The new Little Pincushion Studio is a vintage RV business office that looks much bigger than its 12′ long size. 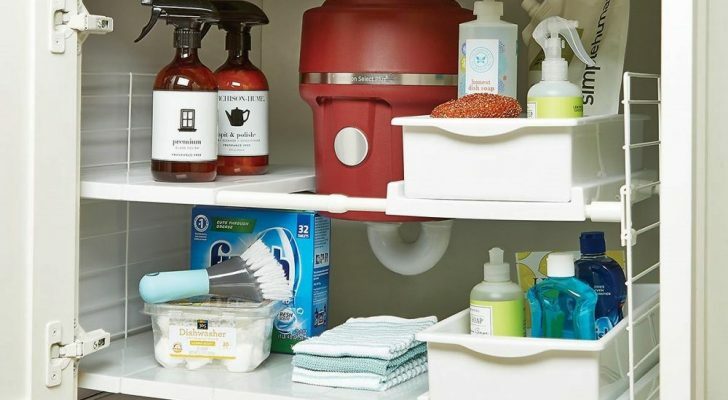 It comfortably fits up to five sewers and can accommodate all of the sewing machines and supplies needed for an afternoon of crafty fun. “Penelope” seats up to five students. She’s a little bit quirky, but she’s also quite proper. 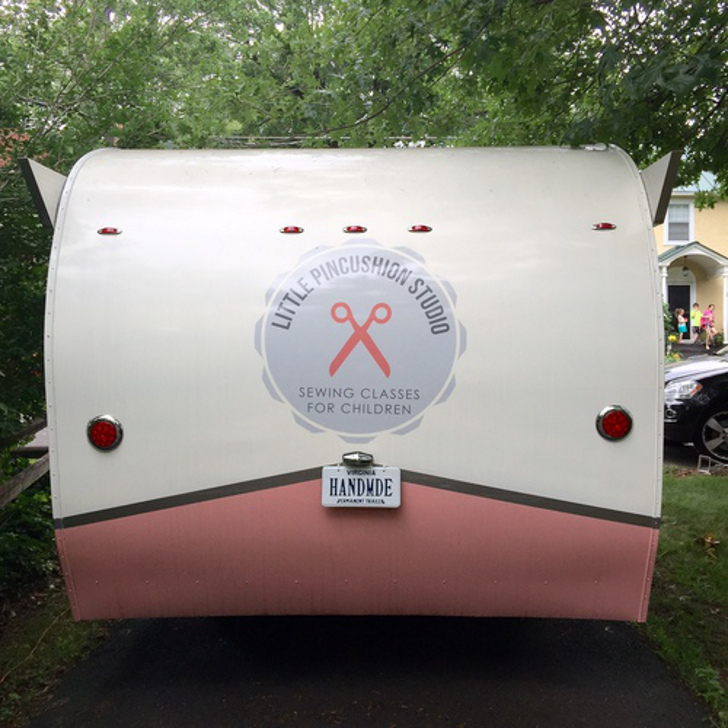 This mother of two loves how the trailer has a flashy pink and white retro look with a lightening bolt down the sides and classically streamlined Shasta Flyte wings on back. The trailer has extra low windows so kids can see out while working, and features custom built work spaces and storage that Wrigley’s husband lovingly built for the children’s sewing school. 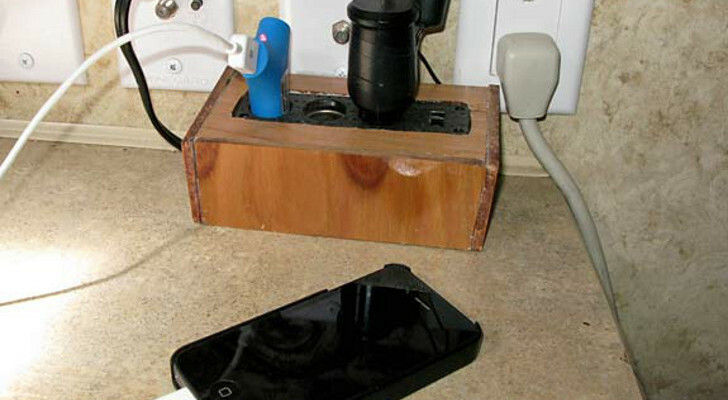 She’s a creative genius taking her show on the road. 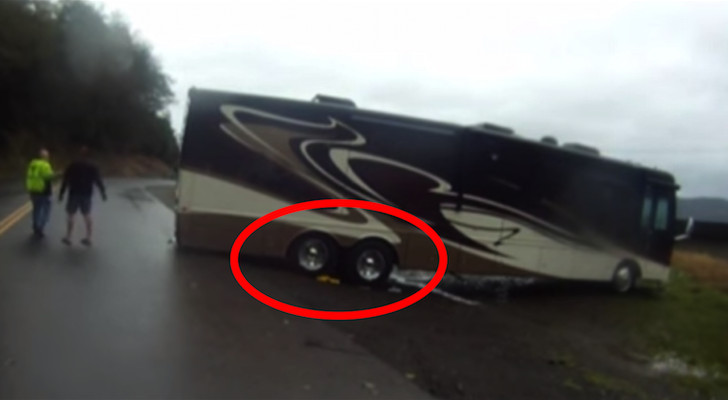 Wherever this trailer roams, inspiration follows. Wrigley is the author of several children’s sewing books and has been teaching the art of sewing to kids for six years. Penelope will also accompany her to adult sewing parties as well as wine tasting events for small gatherings. 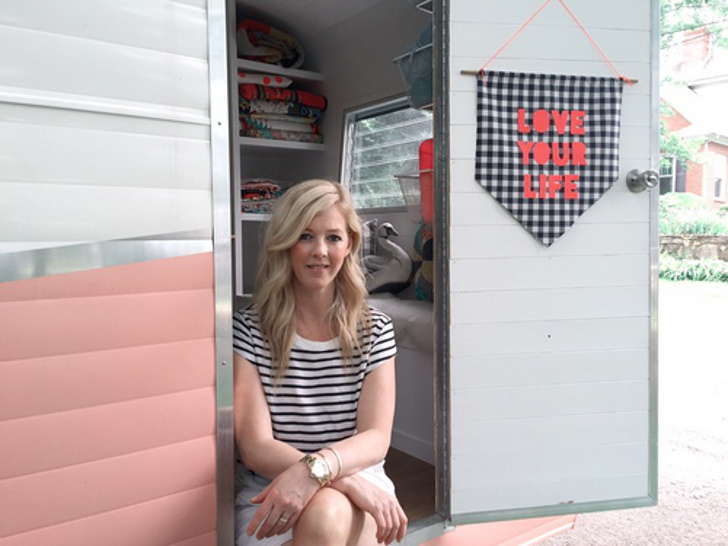 If her beautiful interior design skills are any indication of what she can teach, her Little Pincushion Studio is sure to leave an impression on every student who learns in this little classroom on wheels.